Capitol Seniors Housing in Greenburgh, NY being built by March Construction services. This project consists of a 3-story assisted living facility with upgraded amenities. 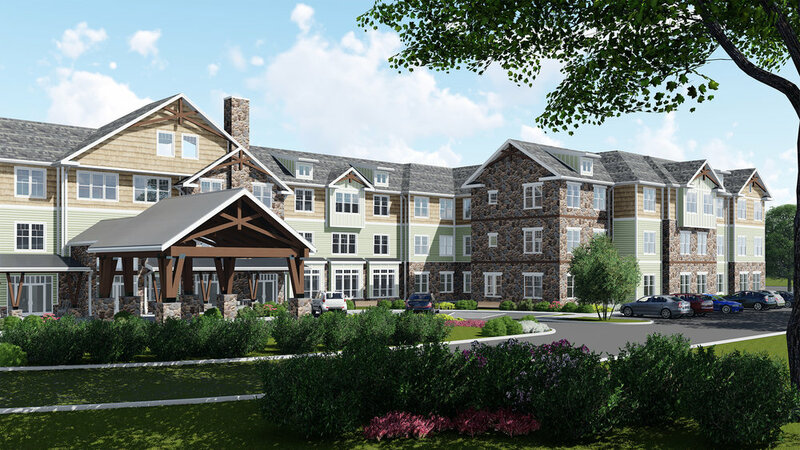 This project consists of a 3-story assisted living facility with upgraded amenities including: A theater, dining room with a demonstration kitchen, beauty salon, art studio, fitness with a rehab area, and a tavern. The exterior of the site features a park-like setting. The property has roughly 7,000 tons of soil remediation required and main building will be set on timber piles.